Ready for action in the games that matter, kick off the match with the Mitre Ultimatch Hyperseam Football. One of Mitre's most popular match footballs, the Ultimatch now comes with Hyperseam technology which delivers optimal in-play consistency, improved durability and doesn't require pumping up regularly. Constructed of 12 panels, the surface of each is textured for aerodynamic control. For comfort and improved control, each panel of the Ultimatch ball is foam backed as well, making them more forgiving on the foot. And so you can be sure the ball is quality it bears the International Match Ball Standard (IMS) seal of approval. 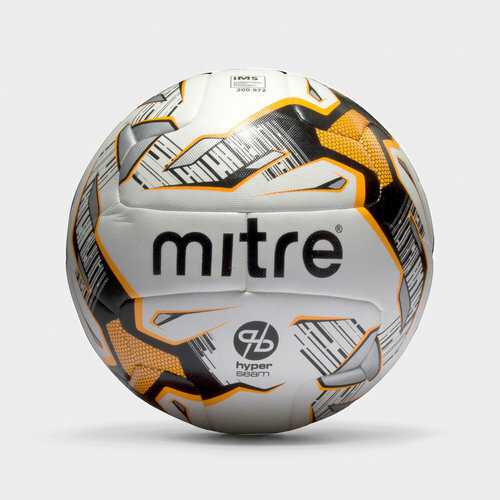 Made for match play, both casual and competitive, improve your gameplay with the Mitre Ultimatch Hyperseam Football.